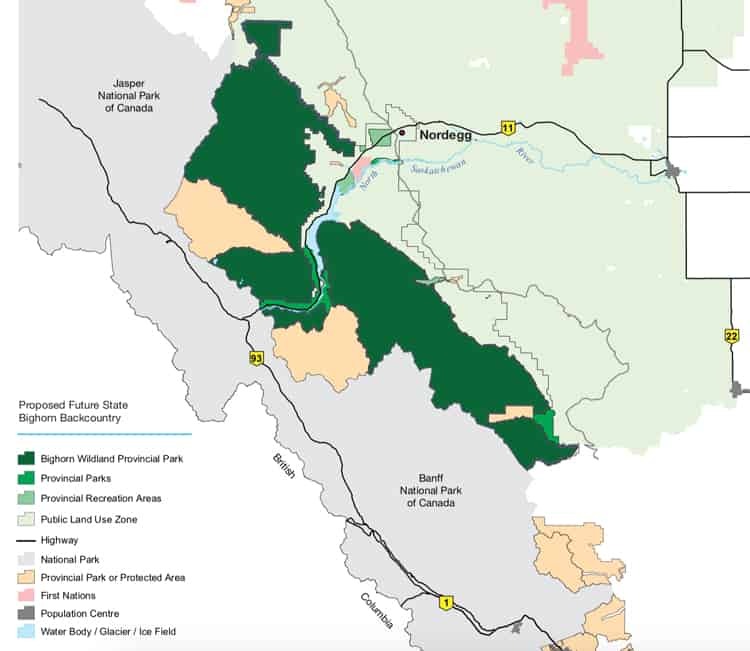 A plan for three provincial parks, four recreation areas and a woodland park near Nordegg was released by the Government of Alberta on November 23, 2018. Albertans are invited to share their feedback on the Bighorn Country proposal – consultations are open until January 31, 2019. Give your feedback on the Bighorn Country proposal. The proposal for the new land designations, which resided within the North Saskatchewan Regional Plan area, was announced by Premier Rachel Notley and Shannon Phillips, Minister of Environment and Parks. “This mix of parks, recreation areas and public land-use zones has the potential to be the greatest tourism development opportunity the area has ever seen. We know how much Albertans value nature and time spent outdoors,” said Phillips in the Government of Alberta press release.